Found on the banks of the River Avon, Warwick is the county town of Warwickshire. With a population of around 30,000 and a wide selection of property in the area ranging from Victorian terraces to suburban detached homes, there is a thriving market in the area. At My Home Move Conveyancing we have been improving our knowledge of local markets since 2002, meaning we can offer our clients in the Warwick area a specialist, fixed fee conveyancing service. When considering the purchase or sale of property in Warwick, you will require the services of a lawyer to complete the legal work on your behalf. 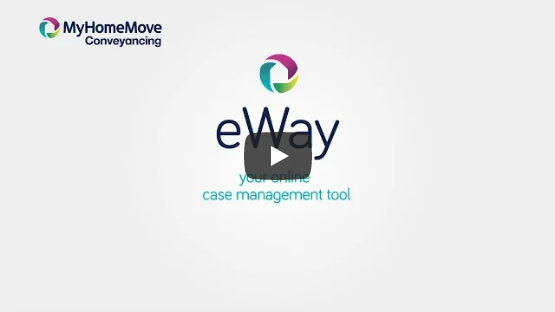 My Home Move Conveyancing can offer you an award winning level of customer service, market-leading use of technology, and thorough knowledge of the local market. Our fixed fee conveyancing service comes without any hidden extra costs, so you’ll be able to budget for exactly what you’re going to pay from the outset. If for some reason you don’t move, you won’t have to pay us a thing in legal costs. You will be assigned a dedicated conveyancer who will look after your case from beginning to end, providing you with a consistent point of contact and regular updates on any progress. At My Home Move Conveyancing we can assist homebuyers across the Warwick area, from Streets Close to the castle in the historic town centre, such as Castle Lane and Mill Street, to in-demand spots such as Myton Road and Spinney Hill, and the commuter-friendly Budbrooke with its Hampton Magna estate. The average house price in Warwickshire is £186,604. During the past year the overall average sale price of properties in Warwick itself was £278,127. Terraced and detached properties sold similarly well, going for an average of £245,372 and £398,547 respectively. Flats and semi-detached properties also sold a similar amount, fetching £159,848 and £261,345 respectively. Warwick boasts a long history that dates back to Neolithic times, while William the Conqueror founded Warwick Castle in 1068. The Great Fire of Warwick destroyed much of the medieval town towards the end of the 17th century, shaping the architecture that now pervades the centre. Cultural highlights include folk and literary festivals, while there is a lively market every Saturday and lots of pleasant countryside that even extends into the heart of town. There are a range of excellent schools in the area for parents with children to consider, with primary options including All Saints C of E, Coten End and Budbrooke Primary. Myron School, Kineton High School, King’s High School and the independent Warwick School are among the secondary choices, while the University of Warwick is located to the north of town. Warwick is well positioned just over 20 miles southeast of Birmingham, while Coventry is approximately 10 miles away. The M40 motorway passes to the south of town, making its way down to London. A train to the capital’s Marylebone station takes around an hour and a half, while Birmingham can be reached in half an hour. Birmingham Airport is only around 15 miles away from Warwick. All properties in Warwick will fall within one of the following council tax bands.